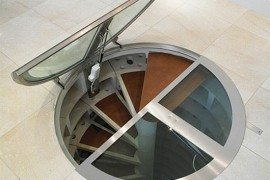 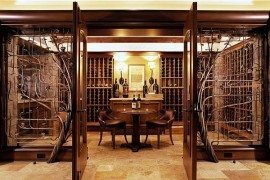 Wine connoisseurs are undoubtedly as bothered about the wine storage area as they are picky about the taste and flavor of their wine. 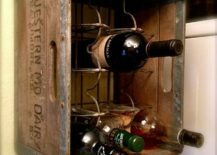 It is undoubtedly an acquired taste and having the skills to create your own wine rack definitely helps in showcasing your cherished collection far more beautifully. 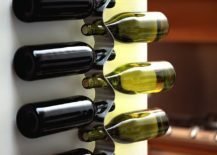 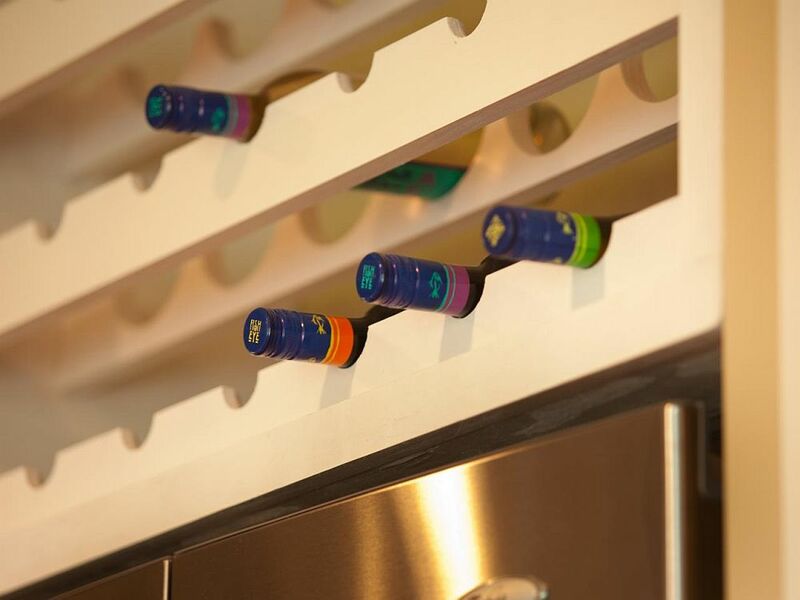 Unlike wine storage spaces that are far more expansive and permanent, wine racks can be installed pretty much anywhere and often hold anywhere between 5 to a couple of dozen wine bottles. 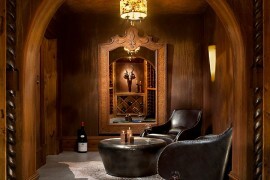 The best part here is unquestionably the bragging rights that you earn at the next poker night! 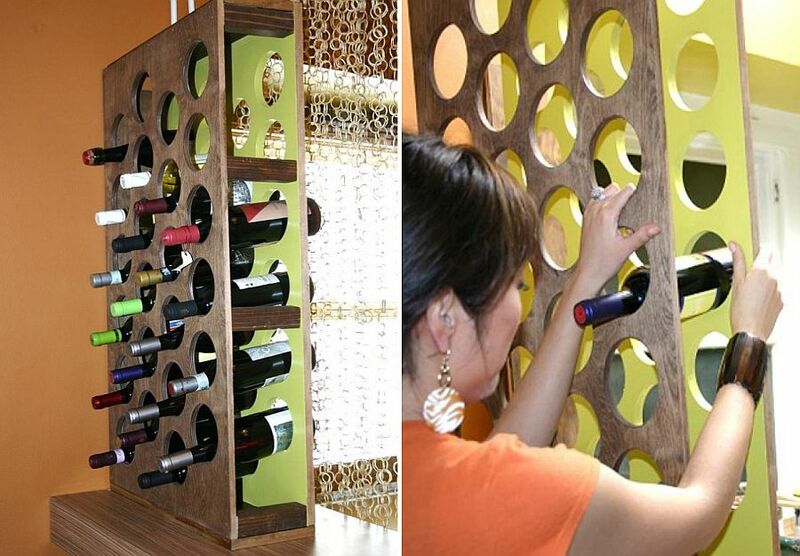 A unique wine rack combines a hint of modernity with eye-catching design and a splash of ingenuity. 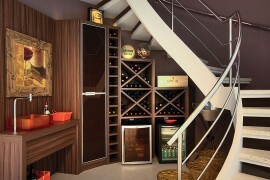 Of course, we are always here to offer you the right inspiration to get you started in the right direction. 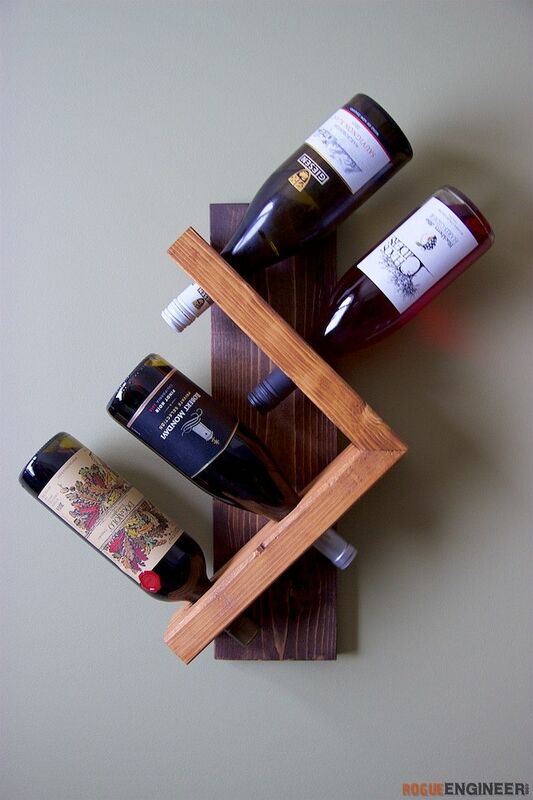 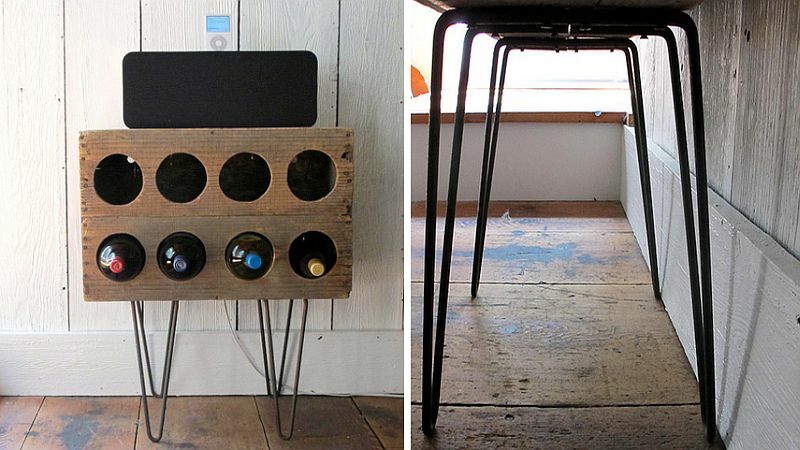 Rogue Engineer offers a space-savvy homemade wine rack design that is easy to replicate. 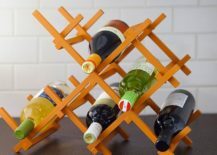 Sure, it does not hold more than just a few bottles of wine, but it does look great in the dining space or even the small kitchen. 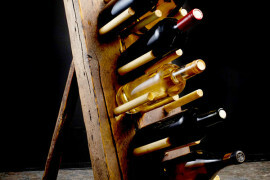 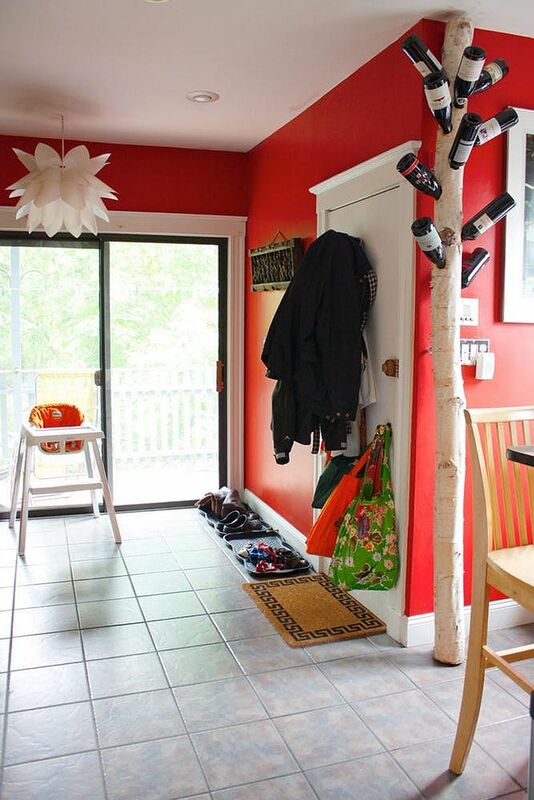 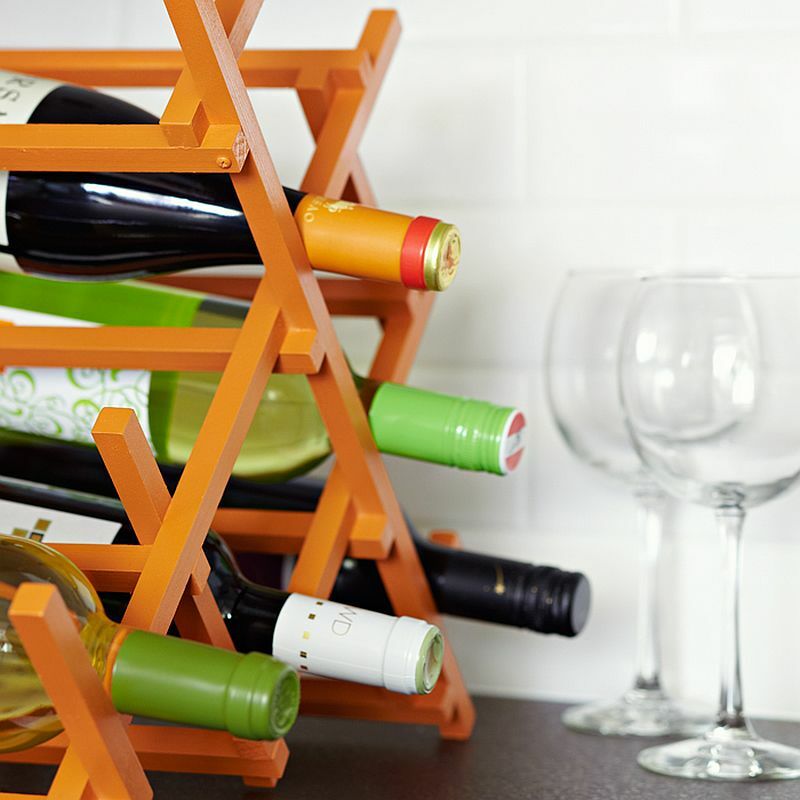 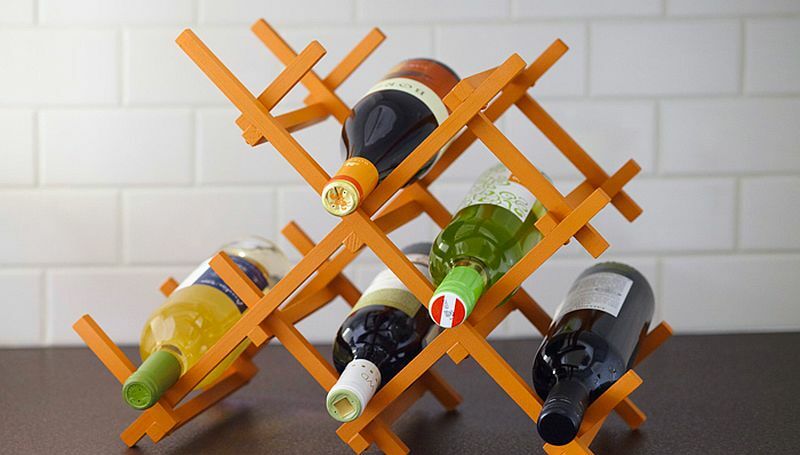 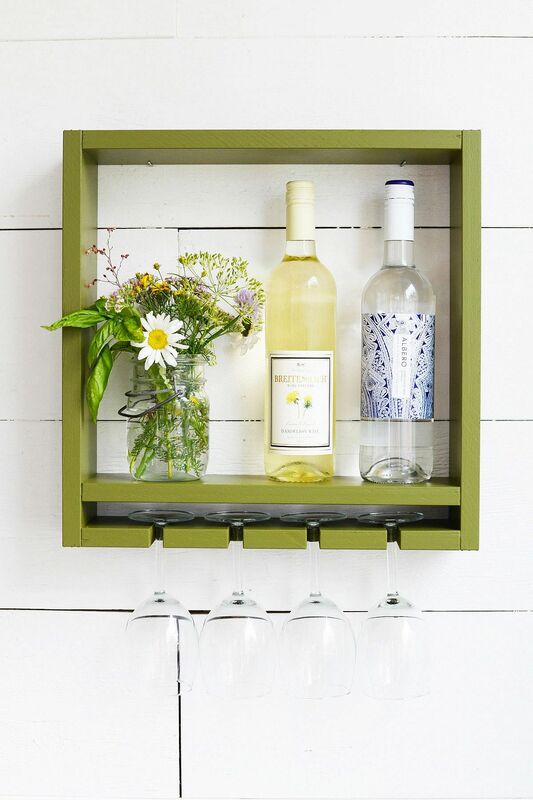 The modern DIY wine rack below is a touch simpler to craft and also ushers in a dash of color. 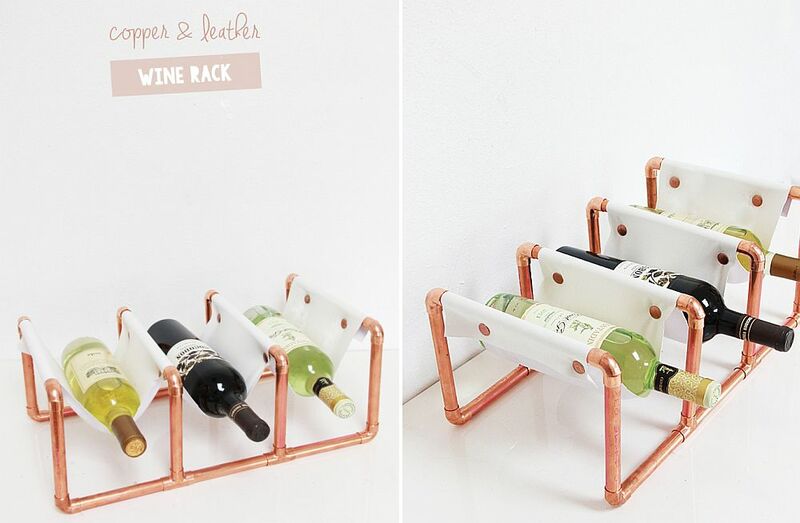 Metallics are a hot trend in home design and the copper pipe and leather wine rack perfectly epitomizes this craze. 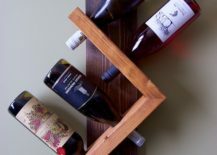 The custom birch wine rack on the other hand is for those who love rustic charm of wood with a touch of simplicity and exclusivity. 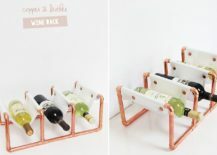 The best part about this design is how you can add wine display space over time with ease, without actually moving away from the basic design! 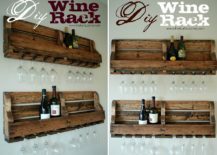 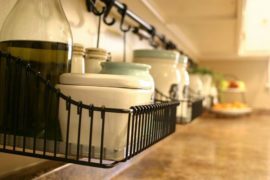 From the easy and the unique, we move on to DIY wine racks that are distinctly modern, vibrant and fit in perfectly with the contemporary style of your home. 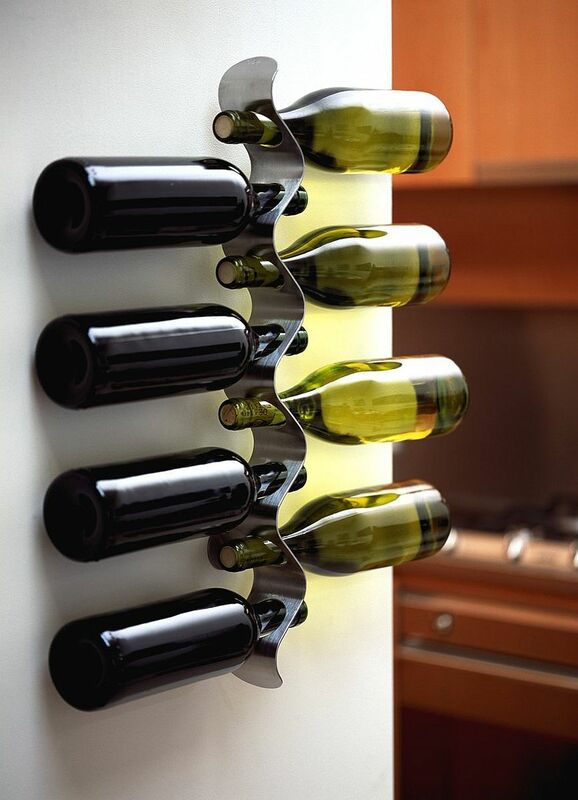 These polished designs definitely take a bit more work and you cannot afford to leave them rough around the edges. But designs like chic and seemingly sculptural like the DIY Countertop Wine Rack save up on space even while giving you decorating freedom. 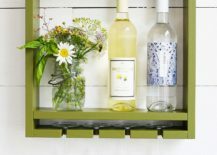 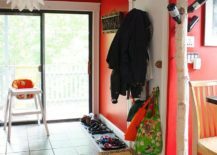 Since it is not a wall-mounted rack, you can easily move it around from room to room (or even take it outdoors) and it surely garners plenty of attention even as a standalone piece. A more extensive wine rack that can hold up to 25 bottles and is integrated into your kitchen decora takes time and effort to craft. 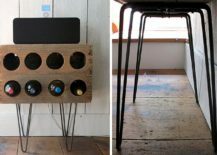 You might want to dedicate more than just a weekend for a project like this, but it is well worth the extra time and sweat. 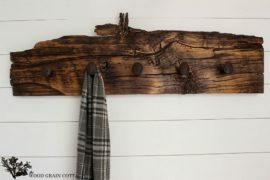 We love any project that upcycles old and discarded materials and turns them into a décor piece that we can put to use. 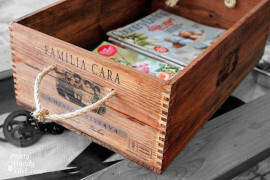 Upcycling not only saves cash, but also helps the planet by reusing materials that might otherwise end up in landfills. 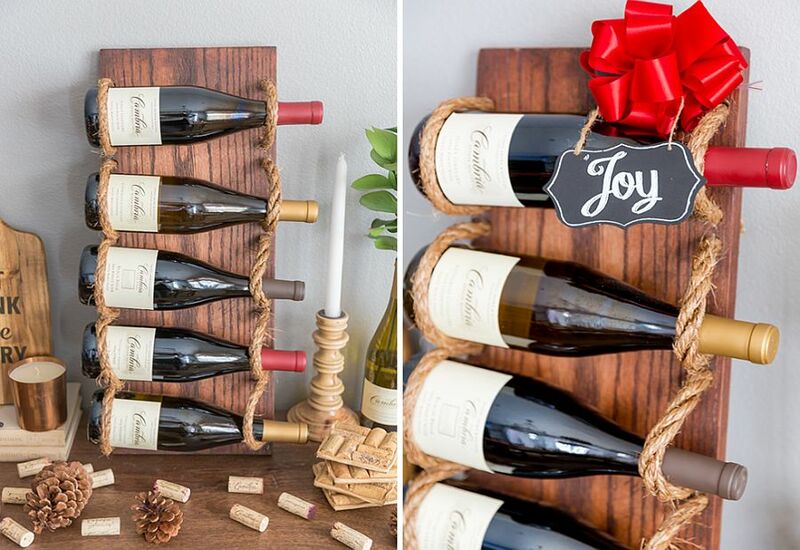 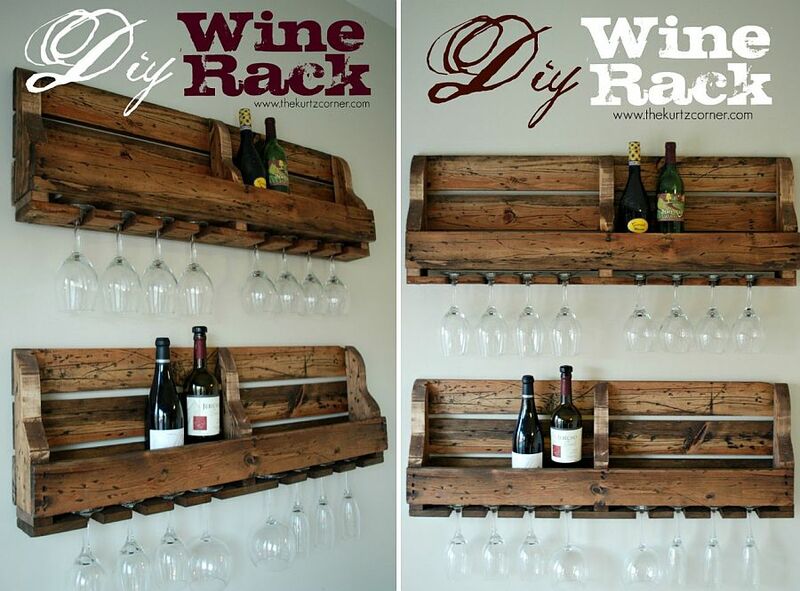 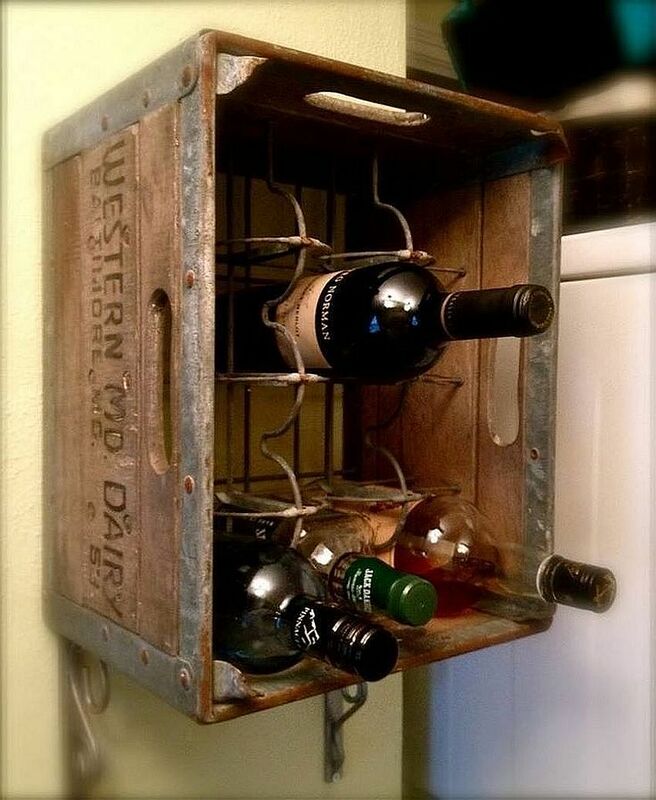 Old wooden crates and boxes are absolutely perfect for crafting a simple and stylish DIY wine rack. 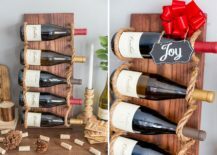 For those who do not need too much space for their small wine collection, these rustic creations are absolutely perfect.